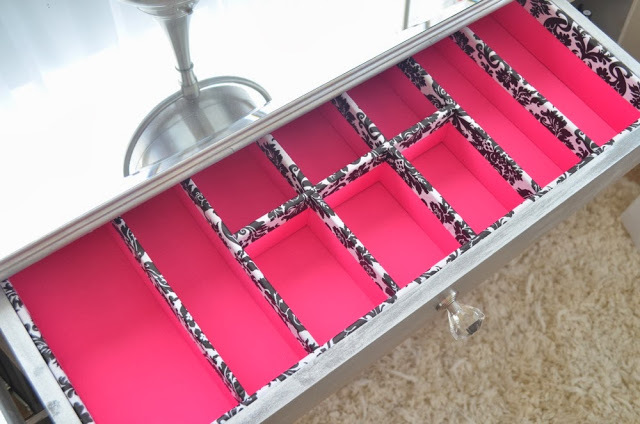 You’ll have the hottest drawers on the block! 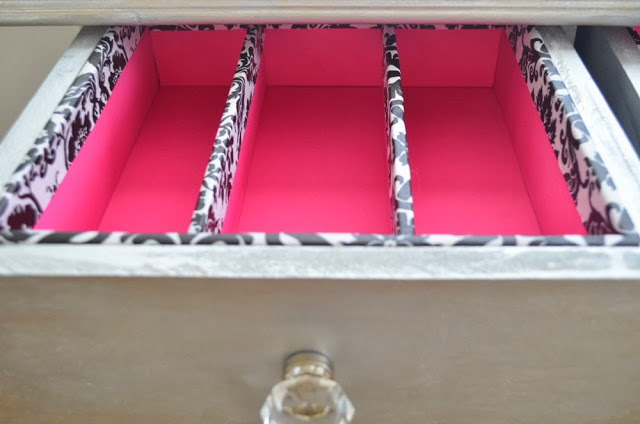 Totally custom, in the colors you love and made to fit your drawers perfectly. 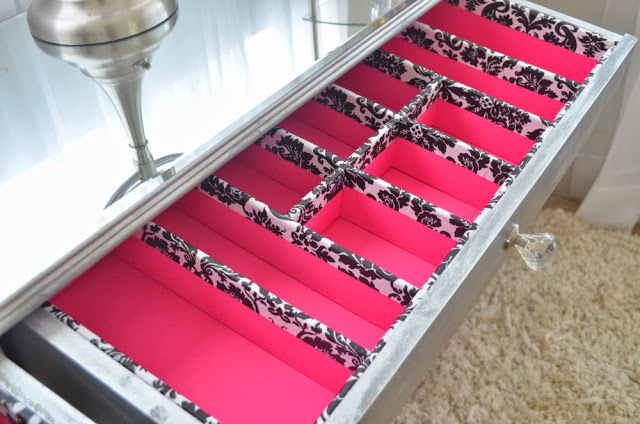 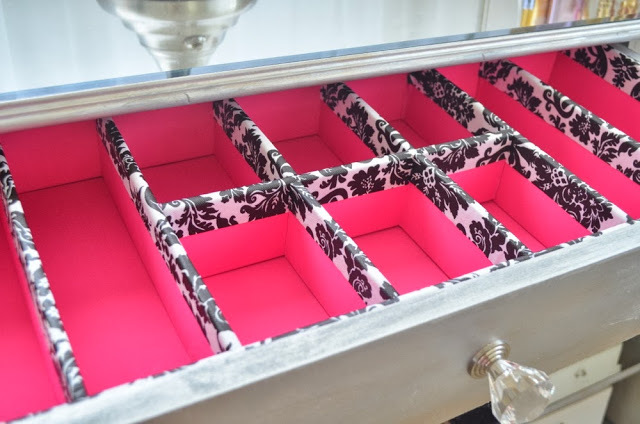 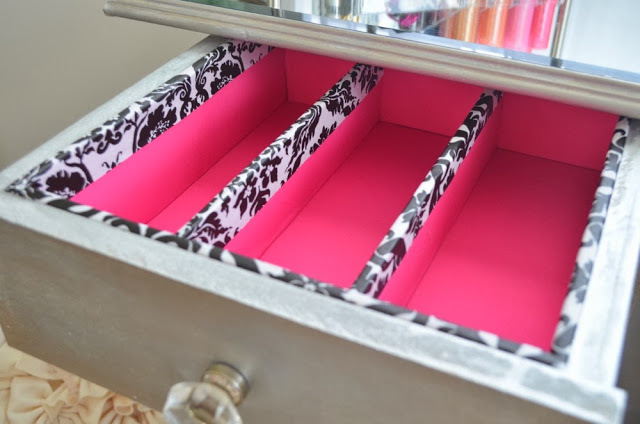 Even those awkward sized drawers, so you can utilize every bit of space and keep your things organized. 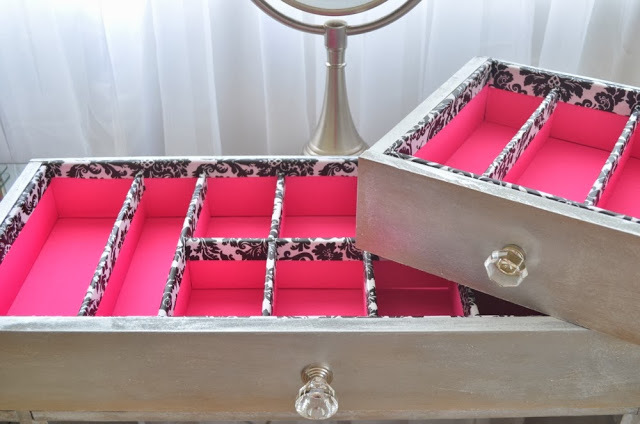 I purchased the following items at Walmart… The foam board was $1.47 per board, the barbie pink fabric I used was $2.78 a yard, the black/white damask print vinyl fabric was $3.38 a yard and the spray adhesive was $10.80. 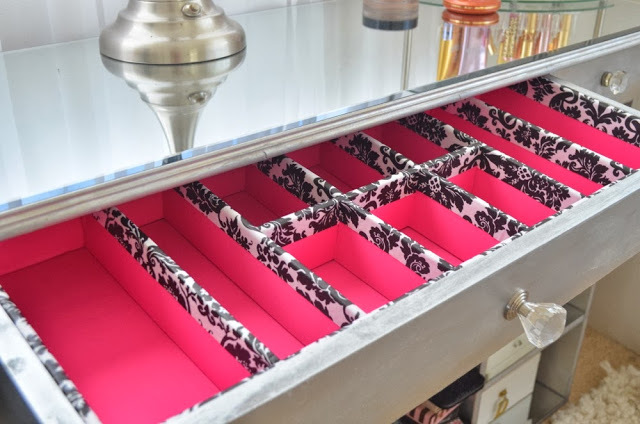 I found everything in the fabric aisle, except the spray adhesive which was near the paint section.